In sound condition, an exceptionally rare 1792P British light dragoon sword, the forerunner to the famous 1796P. 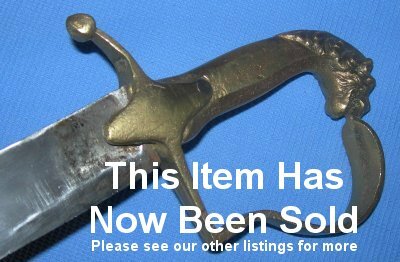 In 8 years of collecting, I have never come across one of these before; that is how rare this 1892P light dragoons sabre is. 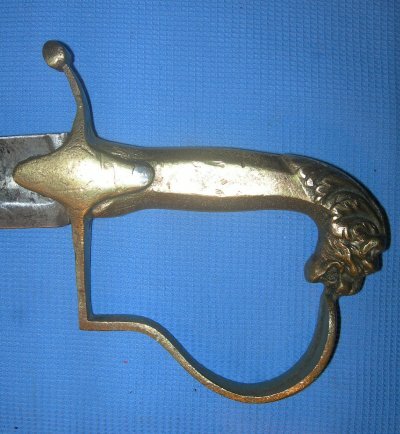 The blade is clearly the same as the one used on the famous Napoleonic British light cavalry sabre, showing that sword was an evolution rather than a radical new design. The brass hilt and grip of this 1792P may have looked magnificent glinting in the sun when it was new, but the practicalities of holding a slippery metal grip in a sweaty palm of a hand hopefully is not lost on people; although this sabre is all the effective slashing weapon the 1796P ever was, this 1792P was a difficult sabre to hold in battle, plus the weakness of a brass cross-guard and knuckle-bow doing little to protect the holders hand.